One might think it’s a recent fashion, but European Heritage Days actually celebrate the whole 30 years this September! The initiative dates back to 1985, when Council of Europe started it with the aim of raising awareness of European cultural diversity. Then, in 1999, it turned into a joint initiative of CoE and EU and nowadays it attracts the whole twenty million people across fifty countries. The idea is to make cultural monuments more open and accessible to anyone interested, thus the European Heritage Days are also known as Heritage Open Days. And yes, this also means free entrance to the museums and free visits to monuments in entire Portugal on September 27h! A vast array of events linked to heritage and museums have one common thread – they share the annual theme. In 2015, the European Heritage Days are about industrial heritage. As I was working in a heritage protection institute for a decade, until the beginning of 2014, our Septembers were very much dedicated to Heritage Open Days events. I remember some enjoyable but quite long days and working weekends on the organization side, adding my little contribution to making heritage more visible and more present in our citizens’ everyday. And I am happy that tradition continues in a different way, in another cultural context. An external view to a country’s heritage and cultural identity functions somewhat as a mirror: one is curious to know how others see them. 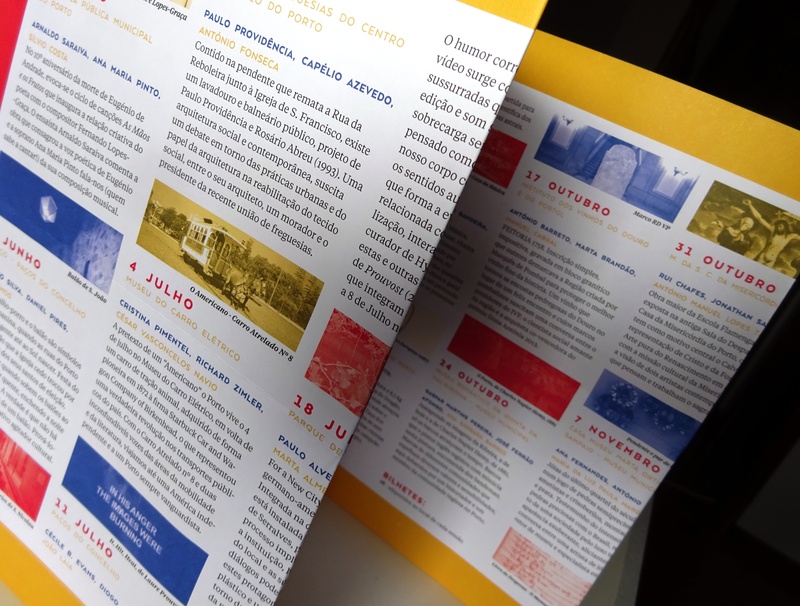 And that was, I believe, the reason for me to be invited to ISLA (Instituto Politécnico de Gestão e Tecnologia) in Vila Nova de Gaia, to participate in their event commemorating the European Heritage Days 2015. I told a story about the discoveries of a cultural tourist – that was just me disguised as one, of course – related to Porto’s industrial heritage, its past and present contexts and its possible future. I have learnt immensely from those discoveries! Switching between the two countries and the status of more-than-a-visitor in Portugal enabled me a detached view on the well-known problems of industrial (and all other) heritage back in the homeland, informed by the discoveries on how others do, and how they face their challenges. Not being without its problems, the industrial heritage experience from Portugal still offers many inspiring initiatives and good examples to learn from. Look at the European Heritage Days website for a very nice interactive map of EHD 2015 events across Europe. 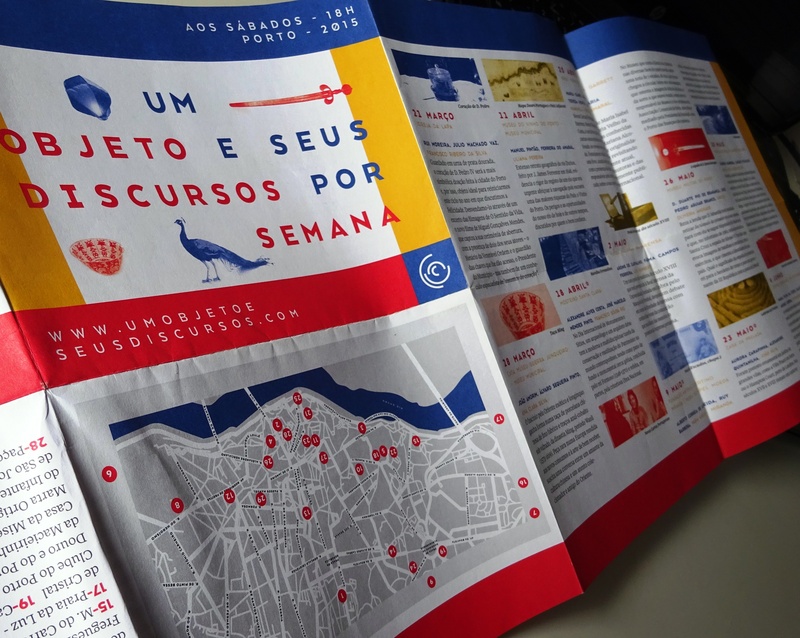 A common idea unites cultural Saturdays here in Porto: interesting artifacts as starting points of most diverse talks and presentations around the city, throughout the year. Yes, “Um objeto e seus discursos” (“An artifact and its discourses”) continues in 2015! Many Saturday afternoons across the city, all the way to December, are already on my wishlist thanks to Objeto, a cultural initiative organized by Porto City Hall, touching themes of history, art and contemporary society. I will be visiting new places, mostly unavailable for general public, or revisiting the ones I know, to meet people and learn new things. So far, I have walked though the monastery of Santa Clara and seen remains of the city walls, and learned about “New Portuguese letters” and the censorship they were subject to in early 1970s. The mondrianesque design of the little brochure reflects the simplicity of the idea, and, at the same time, vastness of possibilities to interpret and reinterpret one same object from diverse perspectives and in different epochs. Looking forward to seeing the Afonso Henriques’ sword, entering the House of Prelada and its labyrinths, seeing the Aliados avenue from the City Hall balcony, learning about the meaning of the traditions related to the St. John’s day, seeing Rosa Mota in person in her pavilion, revisiting the VIP hall of Casa da Música. And all this for free……..or almost so! Besides being in Portuguese only (not a problem for me any more, though! ), my single remark is regarding the quite chaotic organization of practicalities: this lead to finding out there will be a sequel of the 2014 Objeto very, very late, as well as impossibility to buy all tickets at once, or at least at a central place, for example.